Global Heat Transfer contracted PEC. Laser to complete a specialty project that involved creating the external component for an industrial cooling ventilation system. This type of system is pivotal in reducing heat in manufacturing plants, a condition that often leads to lower production levels and can negatively affect the health of workers. The client needed the outer structure of an industrial cooling ventilation system manufactured in record time. PEC Laser had to complete the extensive project in only five weeks, creating a 300 square foot vessel in record time. 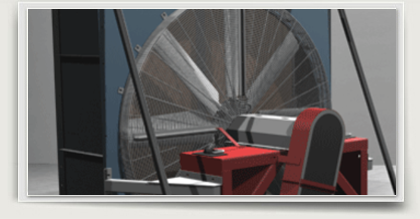 PEC Laser implemented a fail-proof team strategy to ensure that the outer shell of the industrial cooling ventilation system would not only be accurately completed, but that the entire team would remain capable and productive enough to create the vessel in record time. By working together with Global Heat Transfer, we assembled the metal piece by bending and welding the parts together. The final product was then shipped to the company after completing the project in only two weeks, three weeks earlier than the expected deadline.